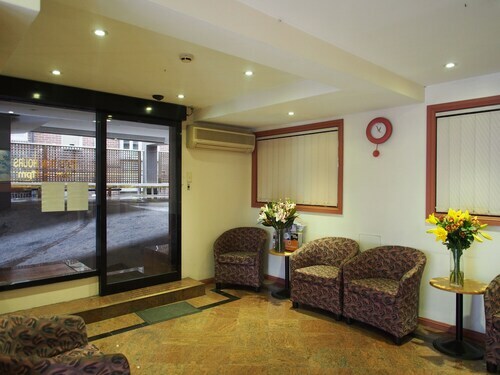 With direct access to the beach, this Sydney Eastern Suburbs motel is in the city center and within 2 mi (3 km) of Coogee Beach, Clovelly Beach, and Bronte Beach. Tamarama Beach and University of New South Wales are also within 2 mi (3 km). 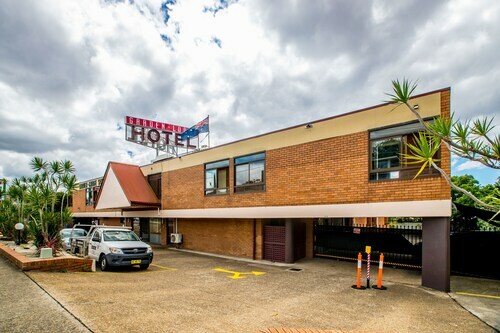 Situated near the airport, this motel is within 3 mi (5 km) of Enmore Theatre, University of Sydney, and Royal Prince Alfred Hospital. Capitol Theatre and White Bay Cruise Terminal are also within 6 mi (10 km). 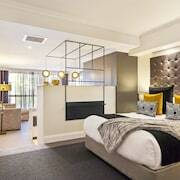 Taverners Hill Station is only a 4-minute walk and Sydney Summer Hill Station is 9 minutes. 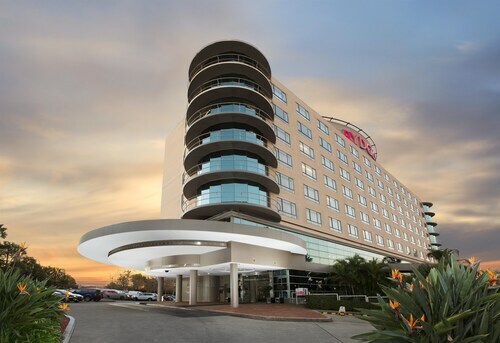 Situated near the airport, this hotel is within a 10-minute walk of Cahill Park, Kogarah Golf Course, and Wolli Creek Village Square. Rockdale Plaza Shopping Centre and Enmore Theatre are also within 6 mi (10 km). Wolli Creek Station is 13 minutes by foot and Sydney Arncliffe Station is 18 minutes. 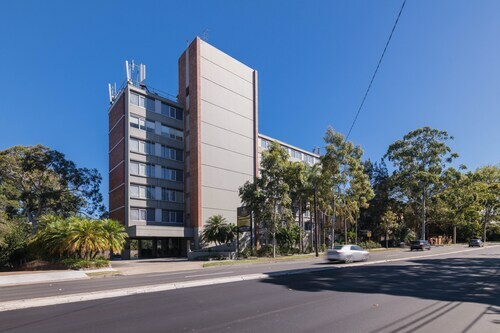 Situated in Summer Hill, this motel is within 3 mi (5 km) of Enmore Theatre, University of Sydney, and Royal Prince Alfred Hospital. White Bay Cruise Terminal and Capitol Theatre are also within 6 mi (10 km). 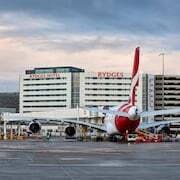 Taverners Hill Station is 6 minutes by foot and Sydney Summer Hill Station is 7 minutes. It’s hard to find decent parking when you’re on holiday. We get it. Is that lot public? Do they ticket on this side street? They want me to pay how much per hour?! 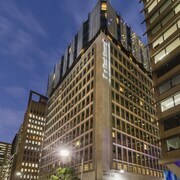 Have no fear, Wotif is here—and we can hook you up with a heap of Sydney hotels with free parking. All of them are just waiting to host your vehicle on your next holiday! Q: How many hotels offer free parking? 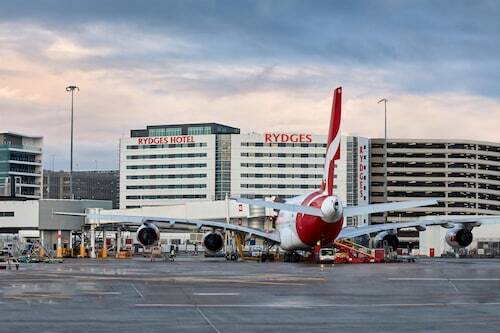 A: There are 2350 hotels with free parking in Sydney. This means you can worry about more important things, like which have pools, room service or free WiFi! 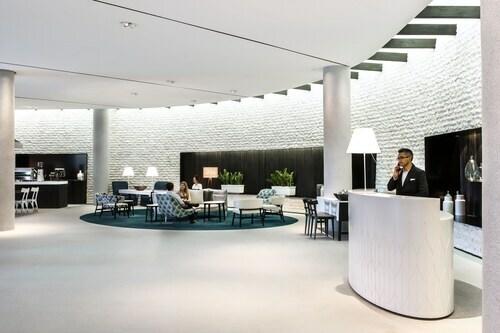 Q: What are the benefits of a hotel with parking? A: Planning on lots of day trips? You bet you’ll want hotel parking for your rental car. Plus, you can head out to new adventures whenever you feel like it—no need to plan your day around public transport (or spend your money on it either). Q: Okay, I want a place to park my car…how much will I have to shell out? A: Not much! 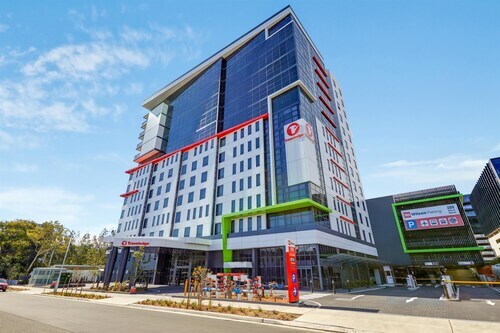 Hotel rates start as low as AU$99 per night, so you’re sure to find accommodation that has parking and won’t put too much of a dent in your wallet. 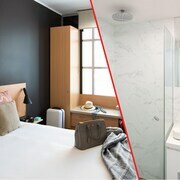 Wotif will help you score great Sydney accommodation with parking, but we can also help you book the best holiday possible. 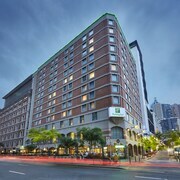 Look through 10598 reviews and check out what other travellers have said about the hotels that interest you. Find the right place at the right price and get your holiday underway. Bring us back a cool souvenir, will ya? 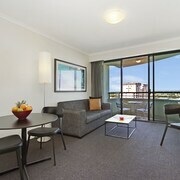 It was so quiet even though the Park Royal Darling Harbour is right next to a busy road and in the middle of everything! It’s great 👍 The room, the bed and the bathroom were huge. Really lovely. The staff were so kind and I asked for some more milk & English Breakfast tea and they brought it straight up😀 Terrific Place.